Since the first day these chairs were on the outlet floor I have been in love with them. Now it seems everyone else is too! 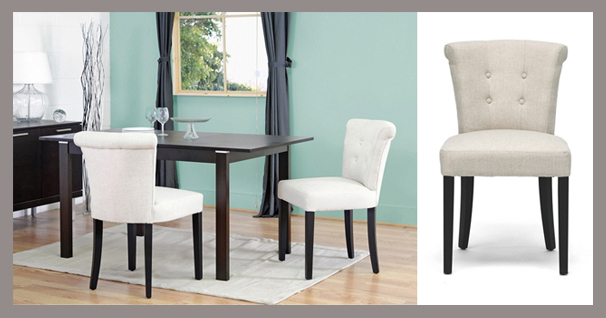 The Philippa and Pearsall Dining Chairs live up to their sophisticated names. Both in a beige linen with button tufting, these chairs can class up any room. Above, The Pearsall Beige Linen Dining Chair is a beautiful parsons chair style with lovely button tufted backrests and neutral light beige linen upholstery. Each of these beige linen dining chairs are made with a birch wood frame and black legs as well as padded with foam cushioning. 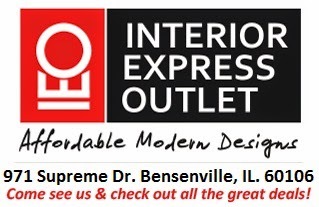 Price at $91 per chair. Below, The Philippa Beige Linen Dining Chair is a likable little dining chair set that will take your home to new heights of comfort and style. The Philippa Chairs are sturdily and carefully crafted with a birch wood frame and legs and comfortably padded with dense foam. Priced $68 per chair.